For his 40th recording, folk’s elder statesman John McCutcheon has gone back to where many artists like him eventually return; their roots. Undoubtedly these roots have been shaped by the great Pete Seeger. “This is an album I’ve been waiting over fifty years to make,” shares the indebted McCutcheon. After decades of impressive work, including thoughtful children’s albums and protest songs, the artist is probably the best choice to offer tribute to such a national treasure. 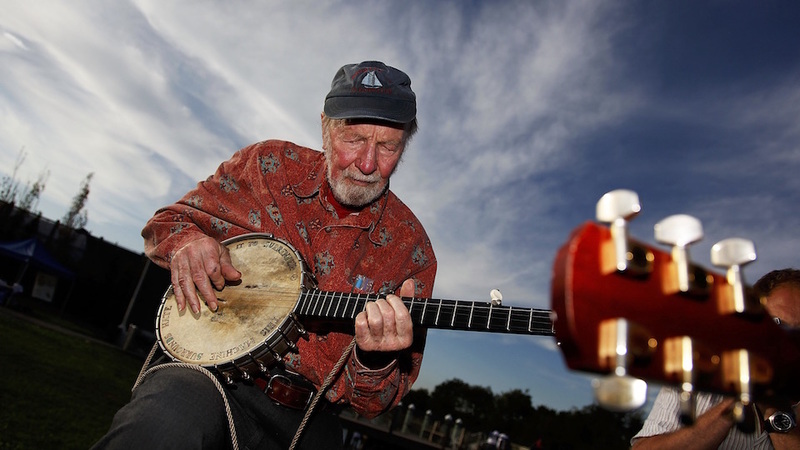 After teaching himself to play a mail-order guitar in the ’60s, McCutcheon explored the heart of folk music, collecting mentors and musical influences along his way through Appalachia, with Seeger being a stalwart. In the years that followed, the artist became known for his extraordinary musicianship. While learning the classics like fiddle and banjo, it’s been his work on the hammered dulcimer that has stood out (check out “Living in the Country” with Stuart Duncan for this). All of these tools are showcased on the new album, To Everyone In All The World: A Celebration of Pete Seeger. The project coincides with the 100th birthday of Seeger and is a musical treat for those who have grown in their affinity for classic folk, bluegrass, and Americana. Instead of bemoaning how the musical landscape has shifted, McCutcheon has embraced a new generation of artists with a spirit of collaboration throughout the album. For example, his funky take on “Talking Union” shows a surprising blend of both genre and musical workmanship. Recruiting artist Corey Harris, McCutcheon gets “woke” on this ode to union representation. Complete with a refreshing hip-hop flare, the song mixes blues, funk, and the spirit of protest folk into a terrific blend of defiance. “Guantanamera” further expands this spirit of togetherness. 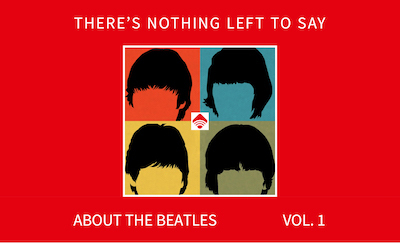 The worldly style of the classic leaps through the speakers. Nicaraguan singer Katia Cardenal shares vocals, offering a traditional feel that’s both fun and expressive. Album opener “Well May the World Go” pairs McCutcheon with the impressive backing of the accomplished four-piece Hot Rize. It’s a perfect start for the album, mostly because listeners gain such a vast sample of instrumentation which sets the table for the buffet of sound that follows. We’re sure it was no accident either. Hot Rize has also been around long enough to see decades of trends rise and fall, while slowly building their own impressive catalog of collaboration. If one desires a snapshot of Appalachia, this would be a near perfect glimpse into its heart and beauty. Of course, we can’t review this album without mentioning what may be the most well known Seeger tracks. “Turn, Turn, Turn” and “If I Had a Hammer” both stand out, but not because the artist tries to reinvent the track. With a true fondness for his inspiration, McCutcheon simply lets these songs play, without the need for any additional flash. “Turn, Turn, Turn”, which has support from The Steel Wheels, is altogether lovely. The restraint on this track will be appreciated by longtime Seeger devotees. Artists that have been around as long as these acts know when to let the music guide your decision making. This seasoned humility works out for the best interest of the album. “If I Had a Hammer” is another example: the nod to Seeger is apparent, yet the contribution of McCutcheon and members of Beausoleil is definitely felt in the warm harmonies and instrumentation. With Seeger’s own creed of working together (“to everyone in all the world”), the enduring legacy of the artist is beautifully espoused in this loving tribute. The maturity and experience of John McCutcheon stands out in his tight arrangements, while his trademark playful heart and “workalong” spirit make him the perfect musician to take on the task of paying tribute to the iconic Pete Seeger. To Everyone In All The World: A Celebration of Pete Seeger is out now.